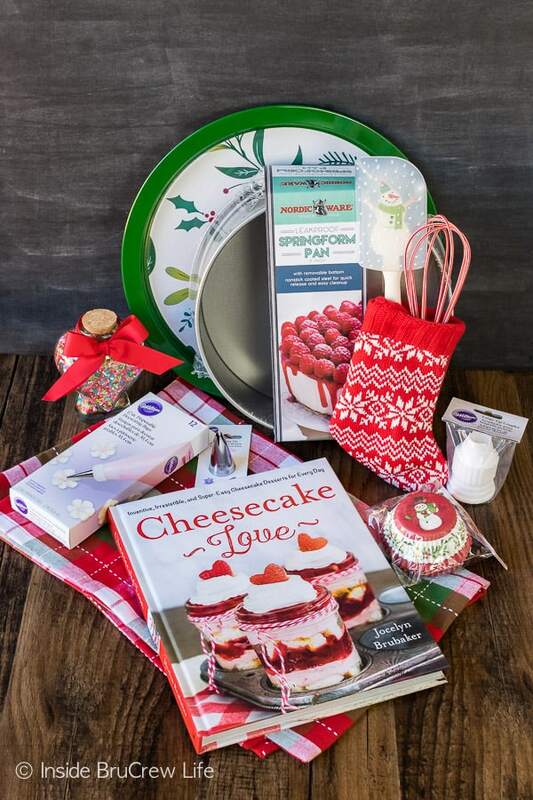 Let’s celebrate the holidays with a Cheesecake Love Christmas Giveaway today! 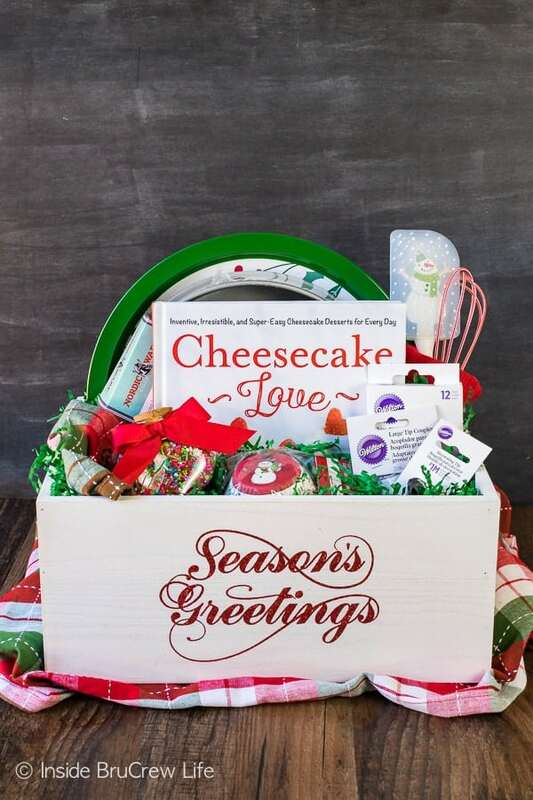 This fun gift box has all the items you need to make a delicious cheesecake for your holiday parties! CLICK HERE TO PIN THIS GIVEAWAY! Merry Christmas to each and every one of my awesome readers! 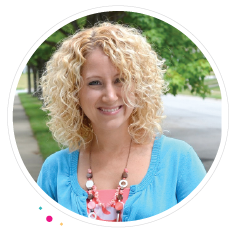 Today I wanted to say thank you for reading our blog, making the recipes, and sending me emails and messages telling me how much you love the dessert recipes we share. It blows me away that after 9 years of rambling and recipes, you still come back for more stories and treats. I absolutely love my job as a recipe creator, and it makes me so happy when I hear messages saying you love the recipes too. Thank you from the bottom of my heart for making what I do possible! 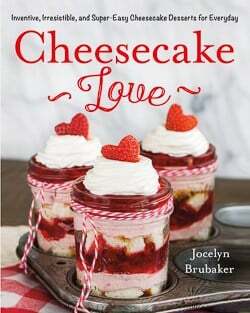 A few months ago, my first cookbook Cheesecake Love was published. It’s the coolest feeling ever to see it on bookshelves and for sale on line. As a thank you and holiday gift from me to you, I put together a cheesecake lover’s gift box. One lucky winner will receive all the items in this box, so that they can get in the kitchen and cheesecake all the things. The box includes a springform pan and a tray to serve it on. A new spatula and whisk to help you mix your batter together. Disposable decorating bags, Wilton tip 1M, and a jar of fun sprinkles will help you make your finished cheesecake a work of art. I also included cupcake liners, just in case you want to start with the smaller cupcake cheesecake recipes in the book first. 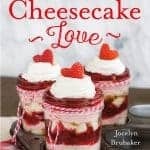 And of course, you will also receive a copy of Cheesecake Love with 85 recipes that will make you love cheesecake even more! Leave a comment below with your favorite Christmas tradition or your favorite Christmas dessert! This giveaway is open to anyone and will end Wednesday, December 13th, 2017 at 5:00 pm EST. A winner will be randomly selected from the comments and notified by email. *This post does contain affiliate links. Inside BruCrew Life may receive a small percentage from sales made through those free links. As always, these links do not cost you any extra. Thank you for letting us share products we use and love this way. Every Christmas Eve, we get together for dinner and sing Christmas Carols. We make cut-out sugar cookies from an early Betty Crocker cookbook. Everyone joins in to ice the cookies as well as choose the cutters of their choice. These cookies melt in your mouth!! Everyone calls me to make a pumpkin roll and a different cheesecake each year. I love to cook. We decorate our tree with treasured family ornaments then bake Christmas cookies while listening/singing along to holiday music. I think my favorite Christmas cookie are Mexican Wedding Cakes. For some reason I only make them at Christmas time – I have no idea why I don’t make them more often. Merry Christmas!! Favorite Christmas dessert is whatever my youngest wants at the moment. This year it is a Pumpkin Roll. It has been pumpkin pie and pumpkin cheesecake in the past. Guess the theme is pumpkin. I did make your Eggnog Cheesecake Pie at Thanksgiving also. Special dinners always need two desserts and any type of cheesecake is always a hit. I love molasses cookies. And cheesecake! My favorite Christmas dessert is a pumpkin cake roll with amaretto eggnog filling I make every year! SO good! 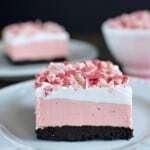 I started making a chocolate peppermint sheet cake that’s yummy! I want to make it into a roll this year. Fresh coconut cake. It’s beautiful on my red Christmas cake stand. Favorite tradition is coffee & cinnamon wreath roll while the grandkids open their stockings. Red Velvet cheesecake is always on our Christmas table. My favorite Christmas tradition is playing BINGO and making crafts with the kids. Our family has not done Christmas present for years, and the kids (and adults) have an awesome time. The crafts don’t always turn out the best, but it is a fun adventure. Favorite dessert at Christmas were my mom’s homemade pecan finger cookies, sugar cookies, Mexican wedding cake cookies….all of my mom’s cookies!! My favorite holiday dessert is a red velvet cheesecake topped with white chocolate curls…Yum! My husband is from Scotland and I moved there when we got married. His mom made such an awesome Scottish Trifle… it’s simple but the love and care put into it. Each and every Christmas we would go there for dinner and it was amazing having that. Since moving back to the states I miss that so much. I tried making it but it isn’t the same. We have however started up our own tradition which is a nice romantic dinner on Christmas day and eve, pick at the baked yummies I made and then call his parents. We still have the trifle but like i said it isn’t the same. Cinnamon rolls on Christmas morning! Although a cinnamon roll cheesecake sounds good too!???? My favorite Christmas tradition is our advent calendar. My son gets so excited counting down to Christmas! As for dessert, frosted sugar cookies are always around my house at Christmas and I love them! My favorite Christmas dessert is the Yule Log cake. It is so delicious, and I love to decorate it with little chocolate mice and small poinsettia flowers! Thank you for such a wonderful giveaway opportunity! Chocolate cheesecake, & caramel popcorn! I love all Christmas cookies, but my favorite would have to be chocolate covered cherry cookies. My long time Christmas tradition of baking 20+ kinds of cookies and candies to give away for Christmas. 🙂 Merry Christmas! I love having a special cozy breakfast on Christmas morning! One of my favorite Christmas traditions is making cookies and candy with my kids! My favorite desserts to make for Christmas is the Cream Puffs, Robert Redford Dessert, Butterscotch Dessert & Creme’ De Menthe bars…..I share a lot too. My favorite Christmas tradition involves my favorite Christmas dessert: baking and decorating White Chocolate Gingerbread Blondies with my dear family, on Christmas Eve. Our family tradition is “Christmas Eve at GrandMaMa’s house” (which is me). Special family treats are Graham Cracker Cookies, Ooey Gooey Butter Cake and Nuts n Bolts! We do a secret santa (of sorts) and let the grandchildren open gifts from the family. The next day we gather at my daughters house for a late lunch so the kids can show off their goodies! What a cute giveaway! I’m a sugar feign, so I like them all. My favorite is probably fudge! My favorite is my mother’s seven layer bars. Eggnog cheesecake is always a winner here, combining two of our favorite holiday foods. We always make a “Happy birthday, Jesus!” cake. My favorite Christmas dessert is Red Velvet brownies with cream cheese frosting. Very festive (and delicious)! I love sugar cookies for Christmas. That is the only time that I make them. They’re so delicious!!! My favorite has to be Snickerdoodles! They are not only my favorites but my daughter’s too and we enjoy making them together at Christmas with Christmas music playing in the Kitchen. My favorite Christmas Tradition was celebrating my grandfather’s birthday/Christmas Party and making sugar cookies with homemade icing. Now, I get to to pass those traditions on to my sons. Instead of having our Christmas/Birthday party, we still have a family Christmas Party with my husband’s family. I still make some type of cookie and some sugar cookies with homemade icing. One of my favorite Christmas traditions is Remembrance Bows on the Christmas tree. We’ve lost so many people: my parents, my brothers, my father-in-law, etc. While we’re decorating the tree, we tie a ribbon on a branch and say the loved one’s name. We say a good memory about that person, and we feel like our loved ones are decorating the tree with us. There are a lot of tears – happy and sad, but we do it every year. I’d like to encourage others to do this, too. Anything with peppermint and chocolate is my favorite holiday treat! Would LOVE to get into baking cheesecakes too so what a great contest! We are very adventurous eaters and bakers but may need to buy this recipe book anyway! Thanks for the great recommendations! My favorite tradition is becoming decorating cookies with my kids! On Christmas morning my mom always made sticky buns – rich with homemade caramel goodness and loaded with pecans. We weren’t allowed to start opening presents until after everyone was up and we’ve read through the Christmas story, so the sticky buns were the gift before the gifts! We get to go home for the holidays this year and she is still making her sticky buns for Christmas morning breakfast – so excited!! My grandmother was born in 1890. I always make her fruitcake–it does NOT have citron just good fruit and lots of it. I make about 10 cookie recipes ahead of time, freeze the dough in freezer bags along with the recipe and take them out later to bake. I love doing that. My favorite tradition is midnight Mass then Christmas morning Gin Fizzes, homemade brunch, and spending the day in jammies! Making a huge batch of thick and soft sugar cookies and making a mess frosting them all! Baking with my grandma, we made all kinds of cookies, put them in tins and gave them to family, friends, and neighbors. That was long ago, gram has passed, but the tradition carries on. Christmas was her holiday. divinity, colored red and green. 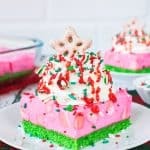 I always loved making Christmas cookies and desserts with my mom when I was a little girl and well into my adult years! I miss her every year now, but continue to make her recipes. Peanut butter snowballs are my favorite! Driving around to look at all the beautiful Christmas lights with my family! 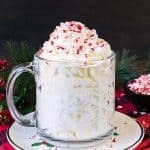 I have always had a soft spot for egg nog and when my Oma made a version of her cheesecake using eggnog it immediately became my favorite and I always looked forward to visiting her for the holidays. I always combine our traditional desserts (cookie assortment of pralines, coconut bon bons, cranberry orange shortbread, gingerbread, iced sugar, etc, and bread pudding) with a new pie, cake, or cheesecake recipe. Love the combination of the traditional with something new…best of both worlds! Happy Holidays to all!! My family loves boiled custard. It’s the same recipe my grandmother made for us when we were kids. Have to stir it around 3 hours. I’m the only one in the family that has the patience to carry on the tradition. My favorite is monkey bread! I made your pecan pie/cheesecake!! Everyone LOVED IT!! Opening presents with my family on Christmas Eve and my in-laws on Christmas morning. Then serving Christmas Brunch. My favorite Christmas tradition is making goodies on Christmas Eve morning with my grandchildren, especially tons of sausage balls! Toblerone Cheesecake!! Whipped shortbread is a close second! Favorite Christmas tradition is driving around town as a family looking at the lights and drinking hot chocolate and eating sweet holiday treats!???? My favorite Christmas dessert are snowball cookies! Rugelach made with my mother’s recipe! I love just a plain vanilla cheesecake. My favorite Christmas tradition is reading a Christmas story every night before bed while we sit next to the tree. I love opening one Christmas gift on Christmas Eve – new PJs! Our favorite dessert is Christmas cookies. My favorite holiday treats that I’ve been baking every year are these festive little chocolate covered cherry cookies. My daughters love them, and they are always the first to go at cookie swaps! My favorite Christmas desserts are Cranberry Orange Cheese Bread and Pumpkin Pie. Thanks for this Cheesecake Box giveaway. Happy Baking & Happy Holidays! My favorite Christmas tradition is everyone home (it is a bit of a stretch since all of our children are grown now) and opening our gifts Christmas morning. Just being all together is a gift within itself. As for dessert, my youngest daughter makes an amazing caramel praline cheesecake—YUM!!! My favorite Christmas tradition is Christmas night when we as a family, young and old, sit to play games. Dominoes, Rumikub, CLR, or a few others. The cookie and candy trays and popcorn balls are brought out and everybody digs in to the treats so special you can only get them that one special time of year! A favorite dessert would have to be our Brownie Pecan Pie! My fav Christmas dessert is a toss up beteeen strawberry cheesecake & SEES candy! Yum! Pumpkin cheesecake!! All my boys love pumpkin pie and they love cheesecake of any kind….put the two together and it’s a winner all the way around! All my boys love pumpkin pie and Cheesecake of any kind…..put the two together and it’s a super win!! Tradition was Christmas eve at my parents with all of our extended family and close neighbors, and waking up on Christmas Morning for Santa presents. Cheesecake is my favorite dessert for any Holiday! We have a tradition of making monster cookies! There is only one cookie that is the taste of Christmas to me, butterballs or also known as snowballs. My mom baked them every year as long as I can remember. Now I bake them every year, they say Christmas to me. My favorite dessert is key lime pie. Two years ago, our freezer froze up on Christmas Day and needed to be defrosted. Now, we empty out both freezers, clean and defrost every Christmas. It is our newest Christmas tradition. What a awesome gift that would be. Cheesecake is one of our favorite with strawberries on it. My favorite would be pumpkin pecan cheesecake – yum! Our family still does pumpkin bread,cookies and the love. Always remember Chinese chews every holiday. Doing it all this year too. My favorite holiday tradition is carrying on the tradition of making homeade perogies like my Grandmother did all her life. I’ve been making them for over 30 years, and I have to say they are the best. But I also love my desserts too and lost my book of cheesecake recipes when I moved, so this would be great to win. My boys help me make Christmas cookies and candy every year. Making sugar cookies & decorating them. Of coarse we (mom, sister & me) left some out for santa. I love to make molasses cookies each year for Christmas. Baking goodies for friends and neighbors, then Christmas Eve tamales! My favorite Christmas dessert are pizzelle cookies. They remind me of snowflakes especially when they are dusted with a bit of powdered sugar. chocolate peppermint roll cake with ganache…oh my!! My favorite memory is making Christmas Cookies with my grandma. I love to eat pecan pie at Christmas. Plus I make Browned Butter Snickerdoodles for my grands. My Favorite Memory is making icebox cookies with my grandma and decorating the Christmas tree with my father we had this one ornament that was my great grandparents ornament that brought when they came to this country my grandma would tell stories and my dad would always put that at the bottom of the tree I would always tell my dad you put the lights on the tree I will put the ornaments ok he would laugh and say you are good at put the ornaments so that is going to be your job I said ok by me. My fave Christmas dessert are all the cookies my family and I make! I moved to the US from Canada ten years ago and my favorite Christmas tradition is to make my mom’s tourtière for Christmas Eve. It’s a French Canadian meat pie made with ground pork and is absolutely delicious! My other tradition is to make Nanaimo bars, which are a delicious layer bar named after the town of Nanaimo in British Columbia, Canada. My absolute favorite Christmas cutout cookies! I love making them &eating them!! My favorite tradition is also my favorite holiday treat! I love to decorate sugar cookies with my girls. So much fun. Messy…but fun! Will always love your stories, and your recipes sell themselves, as each one I have tried is truly delicious!!! A favorite holiday tradition in our family is to make one large gingerbread person for each family member and decorate them personally. Then when we are all together on Christmas each person has to guess which one belongs to them (I put the name on the back of the pkg), which makes them the treat of the day!!! Cinnamon rolls EVERY Christmas morning… an absolute must! Love your contest, thanks for the chance! My favorite Christmas recipe is mincemeat cookies ???? Great grandmother’s raisin filled cookies ???????? My mom’s nut rolls were my favorite Christmas treat! A close second are my peanut butter blossoms with mini Reese’s cups. This is a great giveaway! My favorite Christmas tradition is having my parents over for Christmas eve dinner and I make my great Grandmothers cream puff recipe. Love making gingerbread houses with my Mom, my sister, my nieceand now my niece’s 5 year old son. A day of giggles galore !!! I sure did discover your blog just at the right time! This book is all about my all time favorite dessert! I think my favorite Christmas tradition is going to dinner with my dad at Olive Garden ( helloooo endless soup salad breadsticks) then to hobby lobby to get all our craft supplies for the season! My favorite dessert is Cookies and cream cheesecake! My favorite Christmas dessert is of course Christmas cookies. These special cookies are only made at Christmas, so we wait all year to eat these tasty treats, there is nothing like it!!!!! Every Christmas season, I make cranberry macadamia nut bars topped w/ coconut & give them as gift. Always a hit with the recipient. Wow, what a wonderful giveaway! Our favorite dessert for Christmas is my cousins wonderful cheesecake. No one can make it like her. I like mine with strawberry sauce, it looks so festive for Christmas! Christmas cookies. I take a day to bake my kids favorite treats. My favorite tradition is decorating the tree with our kids. My favorite Christmas tradition is making cinnamon rolls on Christmas morning! Would you believe I make a fruitcake cheesecake every December. Even those people who hate fruitcake can’t resist my fruitcake inspired cheesecake. My favorite Christmas dessert is my Mema’s Carrot Cake! Coconut cake – dense and light at the same time! I like making cookies for Santa with my daughter, and our Christmas breakfast tradition is crepes. My favorite Christmas tradition is playing Dirty Santa with gag gifts before we actually open the real presents. Last year, we all had fake teeth to wear as we played…it was loads of fun and laughs. I also enjoy making and decorating cookies with the grandkids. Midnight Mass and early morning present unwrapping followed by lots and lots of goodies! My mom and I and now my daughter, stay up late baking cookies before Christmas – we call it “Night of 1000 cookies” – my favorite are Russian Teacakes. My most memorable Christmases were when I was a kid, and we would visit our many relatives over the holidays to “see their Christmas tree ???? “, It was really more of a reason for the adults to get together and share adult beverages, and for my cousins and I to play with our new toys. We had a Mitch Miller Sing-a-Long Christmas album, and it was great fun for all of us to sing along with the jolly Christmas songs. Now I am over 60 and most of my aunts and uncles are gone, as well as my parents and one brother. Those of us who remain are scattered around the country, so Christmas is very different now. I still like to stay home and watch traditional Christmas movies, listen to Christmas music, and sip egg nog while curling up with my 2 cats. It isn’t the same, but it is peaceful. I have adapted. Merry Christmas to everyone! I love anything peppermint and/or chocolate. Our favorite tradition is doing a white elephant gift exchange. We always have hilarious gifts getting passed around. Last year I brought a big unicorn mask as a gift. Everyone was trying to steal it. Homemade Christmas sugar cookies are always requested by my boys! But I may be adding new traditions from “Cheesecake Love!” Thank you! Love baking at the holidays. My favorite treat at Christmas time is the peanut butter balls that my Grandma used to make. my favorite christmas dessert is gingerbread! My favourite Christmas tradition is singing carols with the family. Eggnog fudge is my favorite holiday dessert! We love to go to Christmas Eve Mass. We make fudge for the neighbors and cheesecake is a must! I am a sucker for peppermint so I absolutely love candy cane cookies. We MUST play cards…..MUST. And……my older brother(48yrs old) still makes up rules as he goes along……grrrr!!!!! Getting new pajamas from the elves on Christmas Eve! Nothing quite like cannolis at Christmas! Mouth waters as I type their name. We always go to the towns holiday parade and see Santa and Mrs. Clause too. It’s a fun night in our little town. Favorite Christmas dessert is the birthday cake for baby Jesus we get every year! ALMOND JOY EGGNOG IS OUR FAVE AROUND THIS TIME. I look forward to making (and eating!) Peppermint Oreo Truffles every year!! I love all things peppermint but these are my fave! I absolutely LOVE sugar cookies! Decorating them with family is the best part! Chocolate crinkle cookies are my absolute favorite! When I was a kid I would perform with my kid’s choir at church and then afterwards they would have cookies and punch – and someone always made chocolate crinkle cookies, and I always ate them all. Growing up we (I have 6 younger siblings) made cookies after the late Christmas Eve mass. It was a way to talk and see what was going on wit the others. We have pulled that same tradition into our own families that we have created. Candy Cane Cookies, hands down, without a doubt. I love gingerbread caramel poke cake. My favorite Christmas tradition is making handmade ornaments with my daughters. Once they get married I will gift them all the ornaments they made for their very first Christmas tree. I love my mom’s sugar cookies. And her special caramel chocolate brownies! I love Spritz cookies!!! Cheesecake is a favorite too of course, but I don’t necessarily associate it with Christmas. I always play Christmas music on the piano every year! It is the best! !